What are you up to today? Oh, just runnin' the world and such! 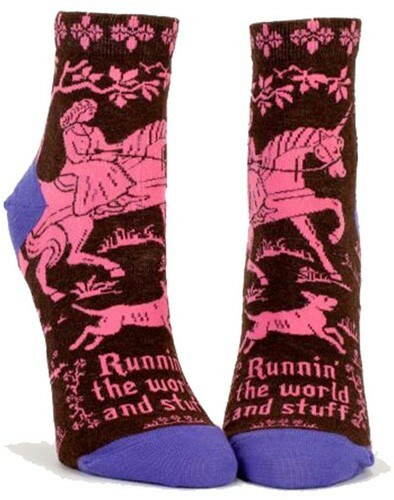 These fun 50% nylon, 48% combed cotton, 2% spandex socks come in one size that fits women's shoe size 5 - 10. 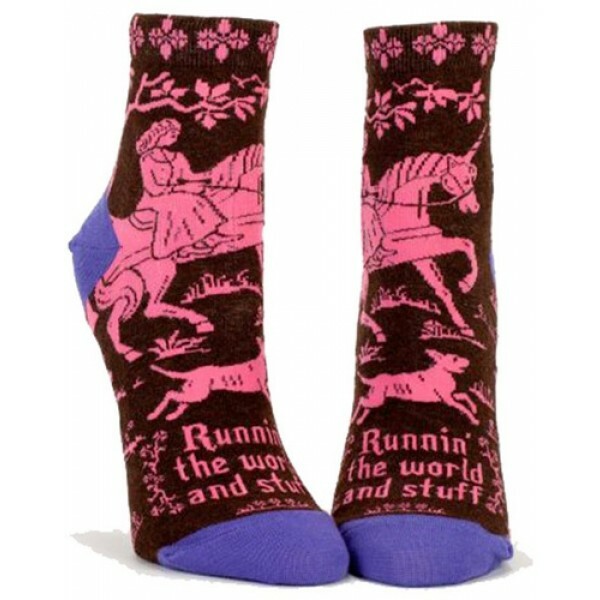 For more fun and unique socks, visit our Sock Collection.